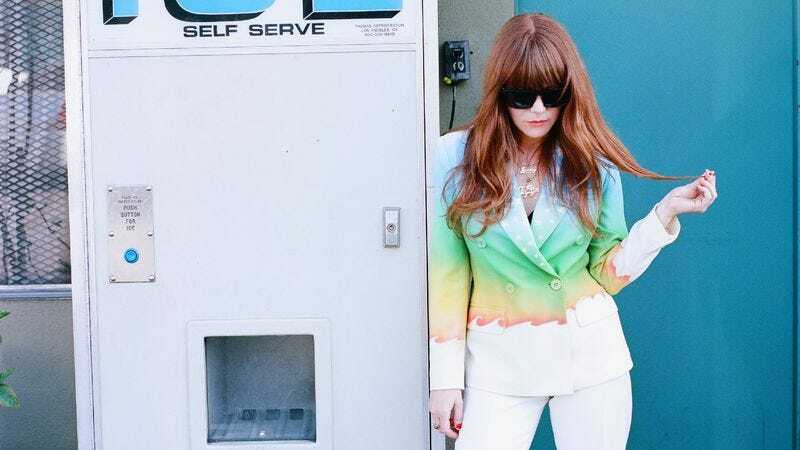 There’s a lot of implied movement on The Voyager, the third solo LP by former Rilo Kiley frontwoman Jenny Lewis. The record’s namesake, after all, is the only manmade object to reach interstellar space; its title track is one of several on The Voyager that delineates the differences between moving forward and moving on. Lewis did both in the time that passed between The Voyager and the release of her last solo disc, 2008’s Acid Tongue: The new record deals with rocky relationships and many forms of escapism, lyrical subjects derived from the demise of Lewis’ old band, and the death of her estranged father. Ten years after Rilo Kiley put out its breakthrough album, More Adventurous, she’s gone from penning death-obsessed songs to being touched by actual loss, and that’s heard in The Voyager. But part of the growth The Voyager displays is in its indirectness—and there’s no better example of that than the title track and the cosmic analogy at its core. It could be about Lewis living the same nomadic life as her dad; it could be about Rilo Kiley’s fiery exit from the scene. (Unlike its real-life analogs, this “Voyager goes up in smoke.”) Not knowing is why we send unmanned objects like Voyager 1 and Voyager 2 hurtling through space, and not knowing opens up The Voyager to a world of all-grown-up interpretations.